Grab these nine Switch indies on the cheap during the Nindies New Year Sale. The Nintendo Nindies New Year Sale is currently underway, discounting a handful of indie games from now until January 15th. If you’re looking to stock up on some indie games for your Nintendo Switch, now is a great time to grab some indies on the cheap. Nintendo Switch users can save up to 35 percent on some fun indie gems from last year, including Thimbleweed Park, Death Squared, and Lovers in a Dangerous Space Time. 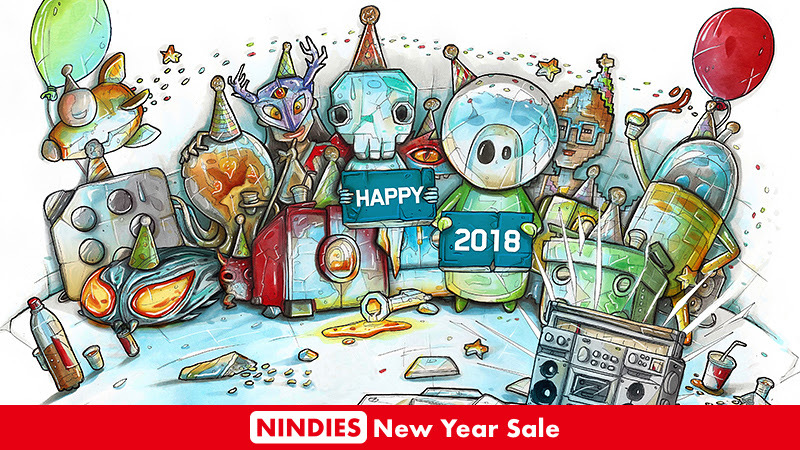 From challenging puzzle games and zany co-op space shooters, to dungeon brawlers and narrative-driven adventures, the Nindies New Year Sale has plenty to choose from. The Nindies New Year Sale only lasts until Monday, January 15th, so make sure to grab these deals in the Nintendo eShop before they’re gone.